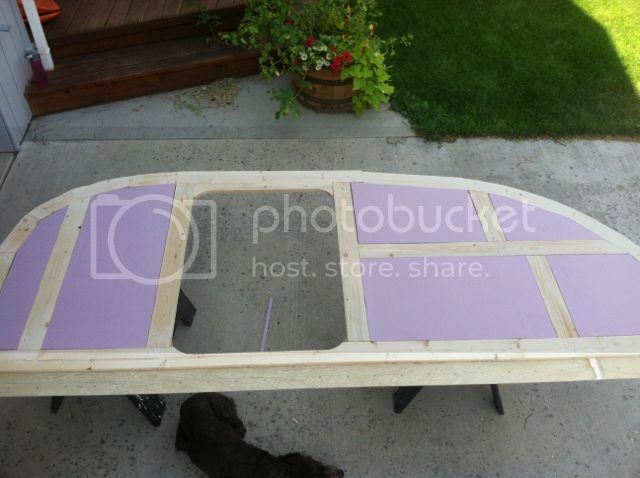 Anyone out there have any experience in using hardwood biscuits to join TD framing members? Appears to this inexperienced soul that this method of joining members would be lighter and more economical. Naturally, clamping in some instances, could present problems. I had to google this. I had never heard the term "wood biscuit" before, but I like the idea. I wonder if this could be used to "stretch" plywood? Olman wrote: Anyone out there have any experience in using hardwood biscuits to join TD framing members? Appears to this inexperienced soul that this method of joining members would be lighter and more economical. Naturally, clamping in some instances, could present problems. 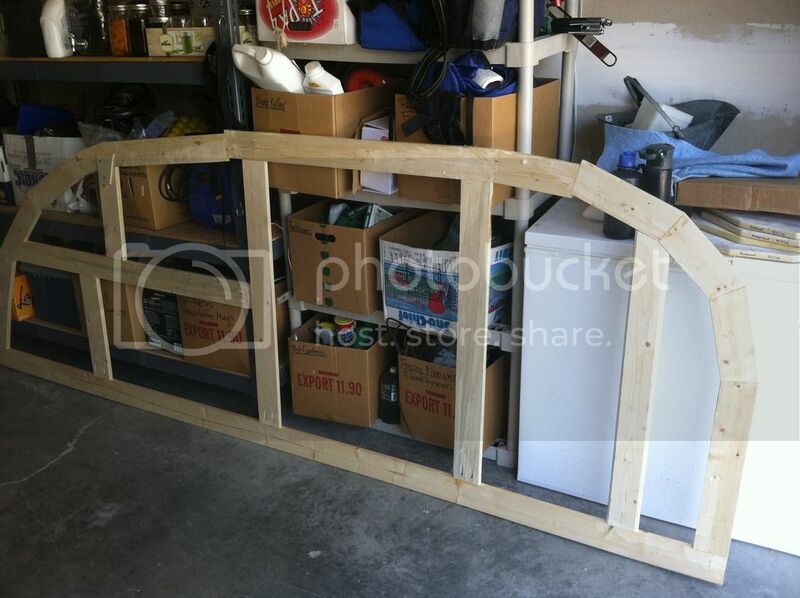 Using boards for constructing this framework takes a lot of time. On my next two builds I used plywood and it's much quicker. As in days. So three layers of plywood all together? I use both biscuits and pocket screws for joining wood. Pocket screws are a better joint in most cases. Biscuits work best for edge gluing table tops, drawer fronts etc. Pocket screws give you a nice tight joint and help square up your work at the same time. Thelgord wrote: So three layers of plywood all together? Short answer is yes. I use 1/4" underlayment which I find cheaper and higher quality than ACX. On the little 4-wide I built I used 1/8" Baltic birch on the interior. 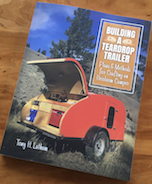 I highly recommend Steve Fredrick's Teardrop Shop Manual: http://www.campingclassics.com/shopman05.html He goes into sandwiched walls in detail (plus a heck of a lot more) There's a review here somewhere.